Shark attacks have gone up this summer. So has ice cream consumption. Does that mean that eating ice cream causes shark attacks to go up? 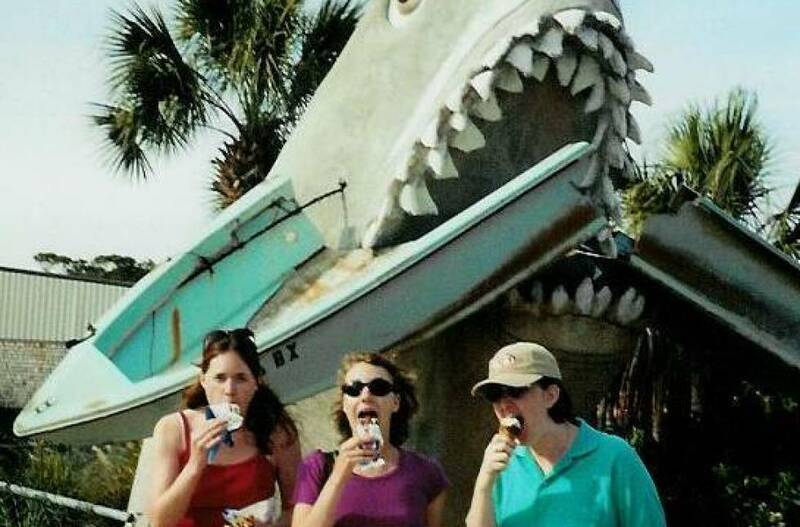 Most of my students -- even the ones who really, really hated logic, and whose future job prospects I worried the most about -- were able to understand that shark attacks and ice cream consumption going up are correlated, but that eating ice cream does not cause shark attacks to go up. Factors can go together, in other words, without them being responsible for one another -- and if you're looking to decrease the overall number of shark attacks, strictly regulating ice cream is probably not the way to do it. Go with me from here, to a beach just outside of Boston, where at the end of June, one dog killed another dog, and injured the killed dog's 83-year-old owner. This is a terrible story in every way. The details that we get from the Boston Globe's account are that a 10-year-old mixed breed dog was being walked by his elderly owner, when a pit bull attacked the pair. The pit bull's owner, the story goes on to report, was unable to stop his dog "because he was on rollerblades, State Police said." It is tempting, given these details -- and no more -- to conclude that pit bulls are dangerous, or at least to reinforce the belief that the dogs have dangerous tendencies. 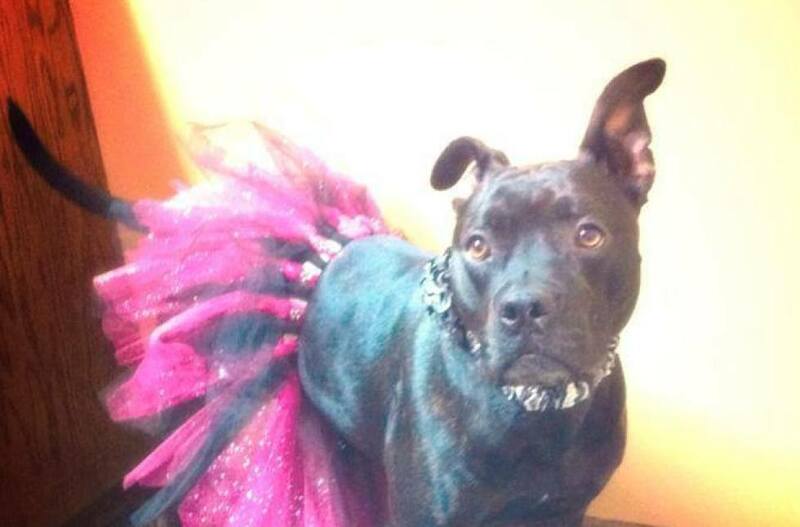 To think that the dog being a pit bull somehow caused the attack. That's the conclusion that the Boston Globe editorial board came to, certainly, in a profoundly wrongheaded, and unsigned, editorial called "Pit bull owners: know your breed." The piece argues -- citing no evidence, since there isn't any -- that this gruesome attack is just one example which proves that pits "have been bred to fight, with lower inhibitions for aggressive behavior," and that while it may be impracticable to ban these dogs, "owners also need to acknowledge the characteristics of their breed and take responsibility for them, including proper leash restraints when out in public." Except these dogs -- and keep in mind that "pit bull" isn't actually a breed in itself, but can mean one of several types of terriers, or, more often, just a dog whose genetics are unknown but who has a certain stocky appearance -- don't have lower inhibitions for aggressive behavior, and the data shows us that "knowing your breed" does not in fact tell us anything about a dog's viciousness. The most recent, most credible examination of dog bite data was published last year in the Journal of the American Veterinary Medical Association. The researchers examined 256 fatal dog bites, to find out if breed is a cause of violent behavior. Everyone should take responsibility for their dog, including proper restraints in public. That has nothing to do with breed and everything to do with the fact that any dog, of any breed, can bite. So which factors do matter, when it comes to dog attacks? Here are a few, according to the JAVMA study: If the dog is spayed or neutered. If the dog's owner has a history of animal abuse. The "absence of an able-bodied person to intervene" -- like, say, if the owner is on rollerblades, and therefore not in control. Just like it's easy for LSAT students to lose sight of what matters when presented with facts that are tantalizing, but ultimately irrelevant to the logic problem at hand, it's easy for all of us to forget what matters when it comes to dog attacks -- only with much bigger consequences. That is largely, I believe, because the media continues to report a dog's breed as if that is an important factor when it comes to explaining an attack. And because of the failure to report on the factors that do matter: Was the dog fixed; was the owner able to control the dog; was the dog owned by someone with a history of animal abuse or neglect; and so on. That is to the detriment of everyone: To pit bulls themselves, who are banned from many jurisdictions around the country and are euthanized in droves at shelters because families are too afraid to bring them home (that is, when their city -- or landlord -- even allows it). This is Mazzy, a mixed-breed dog who was banned from a Louisiana town for nothing more than the results of a genetic test. Mazzy's parents successfully challenged their town's breed ban; she's living back home with them now, and the town is responsible for paying Mazzy's parents' legal fees. Breed restrictions not only don't increase public safety -- they are also expensive to try to enforce. And to people, who are needlessly afraid of, and prejudiced against, a group of dogs who -- despite the hysterical assertions of anonymous editorial boards, and so many others -- in fact share nothing more than a blocky-shaped face, and the prejudice and fear that comes along with it. This bit of misdirection also hurts people who might not have been attacked if -- as journalists, and as a society -- we made people more aware of what dogs actually present a greater risk, and gave more incentives for people to minimize those risks. Towns could require the owners of unfixed dogs to carry more insurance, for example. Bans on keeping dogs chained in yards would also help. With a little critical thinking, the lives of people and dogs should get better -- and, you know, I don't like getting anyone's hopes too high without justification, but I'll bet even the Boston Globe's editorial board might be ready, then, for the logic portion of the LSAT. They might not go to law school in Boston, but they'll get in somewhere.